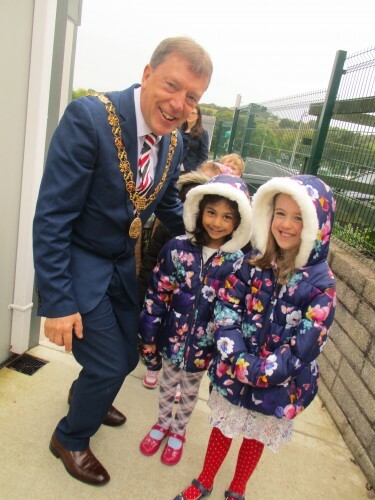 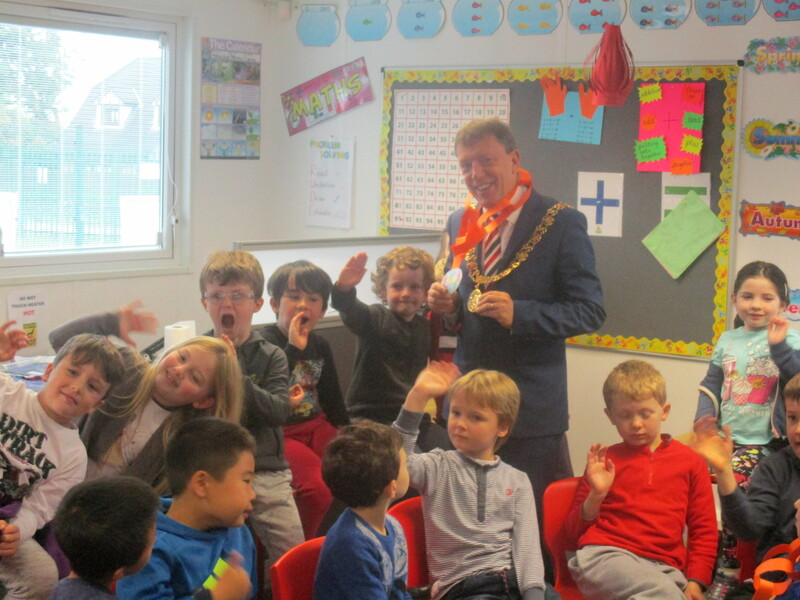 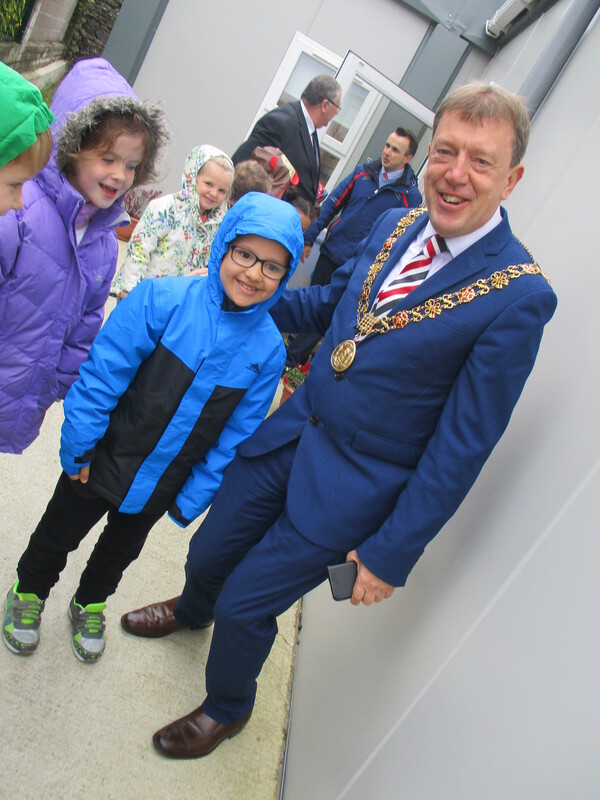 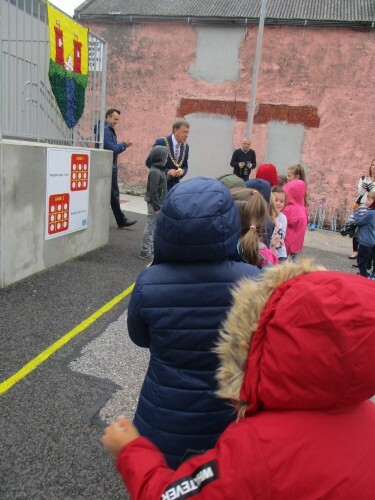 Rochestown Educate Together National School was delighted to welcome the Lord Mayor, Cllr. Tony Fitzgerald, to our school on Monday, 2nd October. The Lord Mayor spoke to our pupils about the importance of being healthy and exercising. 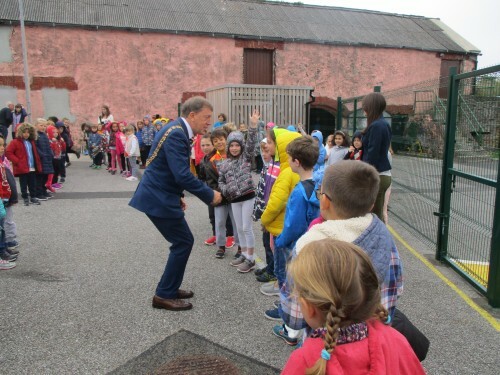 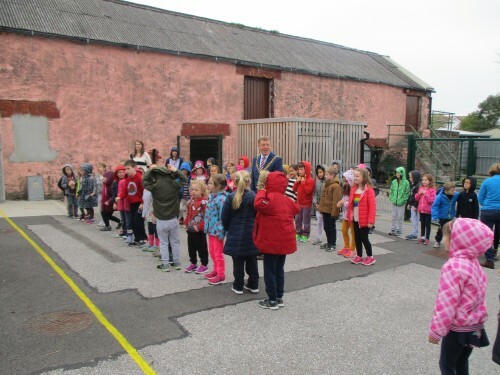 Our pupils sang the Lord Mayor some songs as Gaeilge – one of which involved movements, which was very appropriate! 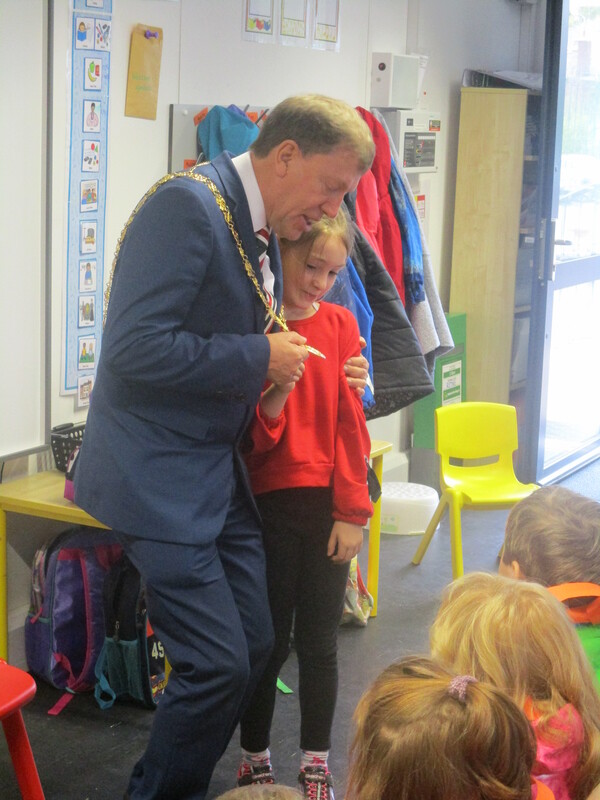 Our school would like to thank the Lord Mayor for visiting both of our school sites, enabling all of our children to meet him. Our Junior Infants made the Lord Mayor a special chain of office, which he wore as he left our school. 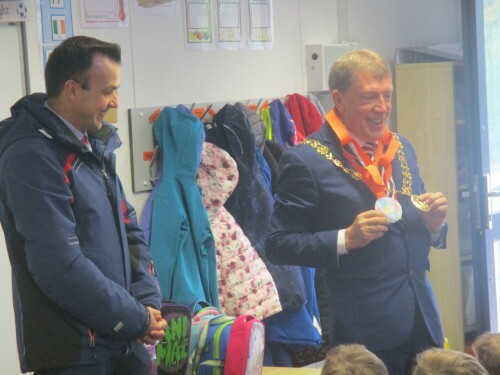 We hope he keeps it as a souvenir of his visit and that it gives him fond memories of Rochestown ETNS!